John Garfield John Garfield (March 4, 1913 – May 21, 1952) was an American actor adept at playing brooding, rebellious, working-class characters. He grew up in poverty in Depression-era New York City and in the early 1930’s became an important member of the Group Theater. In 1937, he moved to Hollywood, eventually becoming one of Warner Bros.’ major stars. Called to testify before the U.S. Congressional House Committee on Un-American Activities (HUAC), he denied Communist affiliation and refused to “name names,” effectively ending his film career. Some have claimed that the stress of this incident led to his premature death at 39 from a heart attack. Garfield is acknowledged as a predecessor of such Method actors as Montgomery Clift, Marlon Brando, and James Dean. Garfield was born Jacob Julius Garfinkle in a small apartment on Rivington Street in Manhattan’s Lower East Side, to David and Hannah Garfinkle, Russian Jewish immigrants, and grew up in the heart of the Yiddish Theater District. In early infancy a middle name—Julius—was added, and for the rest of his life those who knew him well called him Julie. His father, a clothes presser and part-time cantor, struggled to make a living and to provide even marginal comfort for his small family. When Garfield was five, his brother Max was born, and their mother never fully recovered from what was described as a “difficult” pregnancy. She died two years later, and the young boys were sent to live with various relatives, all poor, scattered across the boroughs of Brooklyn, Queens, and the Bronx. Several of these relatives lived in tenements in a section of East Brooklyn called Brownsville, and Garfield lived there in one house and slept in another. At school he was judged a poor reader and speller, deficits that were aggravated by irregular attendance. He would later say of his time on the streets there, that he learned “all the meanness, all the toughness it’s possible for kids to acquire. If I hadn’t become an actor, I might have become Public Enemy Number One.” His father remarried and moved to the West Bronx, where Garfield joined a series of gangs. Much later he would recall: “Every street had its own gang. That’s the way it was in poor sections… the old safety in numbers.” He soon became gang leader. At this time people started to notice his ability to mimic well-known performers, both bodily and facially. He also began to hang out and eventually spar at a boxing gym on Jerome Avenue. 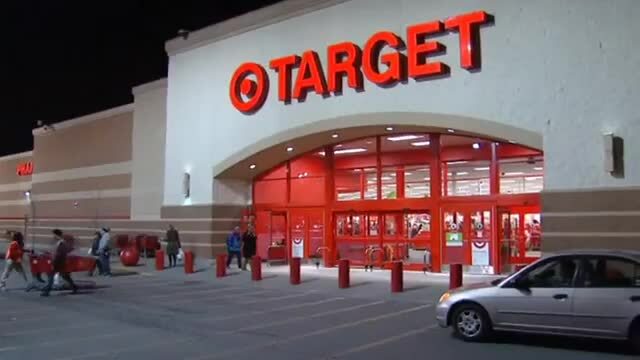 At some point he contracted scarlet fever, (it was diagnosed later in adulthood), causing permanent damage to his heart and causing him to miss a lot of school. After being expelled three times and expressing a wish to quit school altogether, his parents sent him to P.S. 45, a school for difficult children. It was under the guidance of the school’s principal—the noted educator Angelo Patri—that he was introduced to acting. Noticing Garfield’s tendency to stammer, Patri assigned him to a speech therapy class taught by a charismatic teacher named Margaret O’Ryan. She gave him acting exercises and made him memorize and deliver speeches in front of the class and, as he progressed, in front of school assemblies. O’Ryan thought he had natural talent and cast him in school plays. She encouraged him to sign up for a city-wide debating competition sponsored by the New York Times. To his own surprise, he took second prize. With Patri and O’Ryan’s encouragement he began to take acting lessons at a drama school that was part of The Heckscher Foundation, and began to appear in their productions. At one of the latter he received back-stage congratulations and an offer of support from the Yiddish actor Jacob Ben-Ami who recommended him to the American Laboratory Theater. Funded by the Theatre Guild, “the Lab” had contracted with Richard Boleslavski to stage its experimental productions, and with Russian actress and expatriate Maria Ouspenskaya, to supervise classes in acting. Former members of the Moscow Art Theater, they were the first proponents of Stanislavsky’s “system” in the United States. Garfield took morning classes and began volunteering time at the Lab after hours, auditing rehearsals, building and painting scenery, and doing crew work. He would later view this time as beginning his apprenticeship in the theater. Among the people becoming disenchanted with the Guild and turning to the Lab for a more radical, challenging environment were Stella Adler, Lee Strasberg, Franchot Tone, Cheryl Crawford and Harold Clurman. In varying degrees, all would become influential in Garfield’s later career. After a stint with Eva Le Gallienne’s Civic Repertory Theater and a short period of vagrancy involving hitchhiking, freight hopping, picking fruit, and logging in the Pacific Northwest (Preston Sturges conceived the film Sullivan’s Travels after hearing Garfield tell of his hobo adventures), Garfield made his Broadway debut in 1932, in a play called Lost Boy. It ran for only two weeks but gave Garfield something critically important for an actor struggling to break into the theater: a credit. Garfield received feature billing in his next role, that of Henry the office boy, in Elmer Rice’s play Counsellor-at-Law starring Paul Muni. The play ran for three months, made an eastern tour and returned for an unprecedented second return engagement, only closing when Muni was contractually compelled to return to Hollywood to make a film for Warner’s. At this point the Warner company expressed an interest in Garfield and sought to arrange a screen test. He turned them down. Garfield’s former colleagues Crawford, Clurman, and Strasburg had begun a new theater collective, calling it simply “the Group,” and Garfield lobbied his friends hard to get in. After months of rejection he began frequenting the inside steps of the Broadhurst Theater where the Group had its offices. Cheryl Crawford noticed him one day and greeted him warmly. Feeling encouraged, he made his request for apprenticeship. Something intangible impressed her and she recommended him to the other directors. They made no dissent. 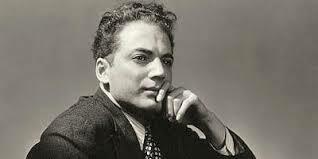 Clifford Odets had been a close friend of Garfield from the early days in the Bronx. After Odets’ one-act play Waiting for Lefty became a surprise hit, the Group announced it would mount a production of his full length drama Awake and Sing. 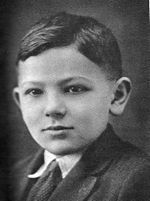 At the playwright’s insistence, Garfield was cast as Ralph, the sensitive young son who pled for “a chance to get to first base.” The play opened in February 1935 and Garfield was singled out by critic Brooks Atkinson for having a “splendid sense of character development.” Garfield’s apprenticeship was officially over; he was voted full membership by the company. Odets was the man of the moment and he claimed to the press that Garfield was his “find”; that he would soon write a play just for him. That play would turn out to be Golden Boy, and when Luther Adler was cast in the lead role instead, a disillusioned Garfield began to take a second look at the overtures being made by Hollywood. Garfield had been approached by Hollywood studios before—both Paramount and Warners offering screen tests—but talks had always stalled over a clause he wanted inserted in his contract, one that would allow him time off for stage work. Now Warner Bros. acceded to his demand and Garfield signed a standard feature-player agreement—seven years with options—in Warner’s New York office. Many in the Group were livid over what they considered his betrayal. Elia Kazan’s reaction was different, suggesting that the Group did not so much fear that Garfield would fail, but that he would succeed. 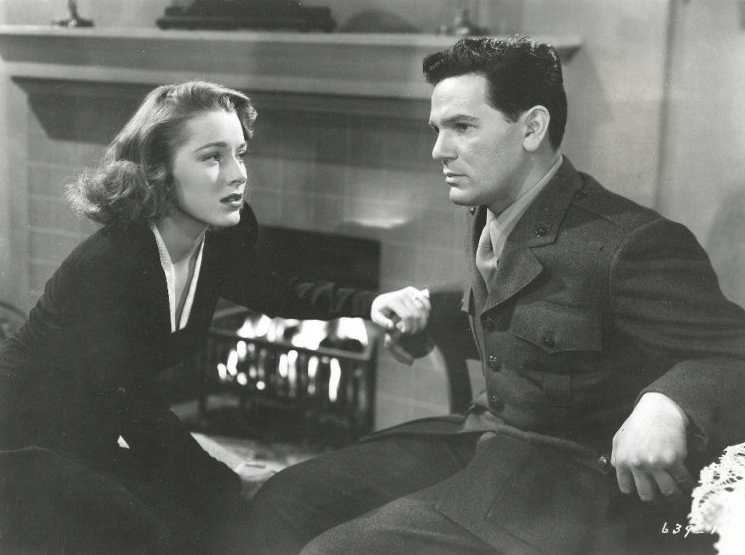 Jack Warner’s first order of business was a change of name, to John Garfield. 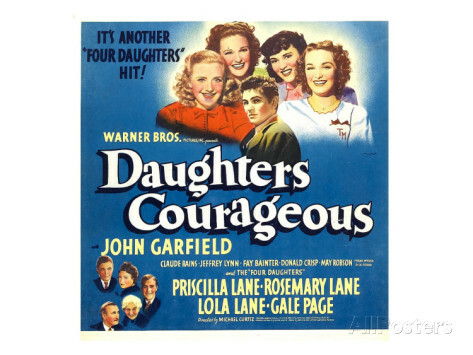 After many false starts he was finally cast in a supporting, yet crucial role as a tragic young composer in a Michael Curtiz film titled Four Daughters. After the picture’s release in 1938, he received wide critical acclaim and a nomination for the Academy Award for Best Supporting Actor. The studio quickly revised Garfield’s contract—designating him a star player rather than a featured one—for seven years without options. They also created a name-above-the-title vehicle for him, titled: They Made Me a Criminal. Before the breakout success of Daughters, Garfield had made a B movie feature called Blackwell’s Island. Not wanting their new star to appear in a low-budget film, Warner’s ordered an A movie upgrade by adding an additional $100,000 to its budget and recalling its director Michael Curtiz to shoot newly scripted scenes. At the onset of World War II, Garfield immediately attempted to enlist in the armed forces, but was turned down because of his heart condition. Frustrated, he turned his energies to supporting the war effort. He and actress Bette Davis were the driving forces behind the opening of the Hollywood Canteen, a club offering food and entertainment for American servicemen. He traveled overseas to help entertain the troops, made several bond selling tours, and starred in a string of popular, patriotic films like Air Force, Destination Tokyo, and Pride of the Marines (all box office successes). He was particularly proud of that last film based on the life of Al Schmid, a war hero blinded in combat. In preparing for the role Garfield lived for several weeks with Schmid and his wife in Philadelphia and would blindfold himself for hours at a time. After the war Garfield starred in a series of successful films such as The Postman Always Rings Twice (1946) with Lana Turner, Humoresque (1946) with Joan Crawford, and the Oscar-winning Best Picture, Gentleman’s Agreement (1947). In Gentleman’s Agreement, Garfield took a featured, but supporting, part because he believed deeply in the film’s exposé of anti-semitism in America. In 1948, he was nominated for the Academy Award for Best Actor for his starring role in Body and Soul (1947). That same year, Garfield returned to Broadway in the play Skipper Next to God. A strong-willed and often verbally combative individual, Garfield did not hesitate to venture out on his own when the opportunity arose. In 1946, when his contract with Warner Bros. expired, Garfield decided not to renew it, and opted to start his own independent production company, one of the first Hollywood stars to take this step. “I have nothing to hide and nothing to be ashamed of. My life is an open book. I am no Red. I am no ‘pink.’ I am no fellow traveler. I am a Democrat by politics, a liberal by inclination, and a loyal citizen of this country by every act of my life.” —From Garfield’s statement read before the HUAC. Long involved in liberal politics, Garfield was caught up in the Communist scare of the late 1940’s and early 1950’s. He supported the Committee for the First Amendment, which opposed governmental investigation of political beliefs. When called to testify before the House Committee on Un-American Activities, which was empowered to investigate purported communist infiltration in America, Garfield refused to name Communist Party members or followers, testifying that, indeed, he knew none in the film industry. Garfield rejected Communism, and just prior to his death in hopes of redeeming himself in the eyes of the “blacklisters,” wrote that he had been duped by Communist ideology, in an unpublished article called “I Was a Sucker for a Left Hook,” a reference to Garfield’s movies about boxing. However, his forced testimony before the committee had severely damaged his reputation. He was blacklisted in Red Channels, and barred from future employment as an actor by Hollywood movie studio bosses for the remainder of his career. With film work scarce because of the blacklist, Garfield returned to Broadway and starred in a 1952 revival of Golden Boy, finally being cast in the lead role denied him years before. 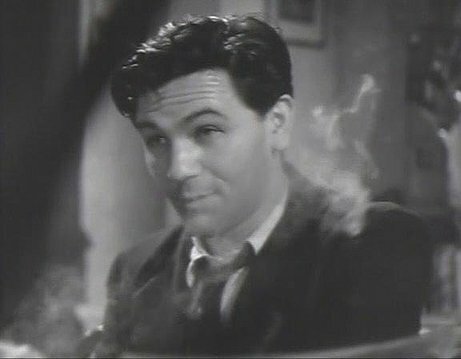 He was in 35 feature films, five short subjects, and one documentary: The John Garfield Story (2003) (available on Warner Home Video’s 2004 DVD of The Postman Always Rings Twice). Garfield moved out of his New York apartment for the last time, indicating to friends it was not a temporary separation. He confided to columnist Earl Wilson that he would soon be divorced. Close friends speculated that it was his wife’s opposition to his plotted confession in Look magazine that triggered the separation. He heard that a HUAC investigator was reviewing his testimony for possible perjury charges. His agent reported that 20th Century-Fox wanted him for a film called Taxi but would not even begin talks unless the investigation concluded in his favor. Three actor friends, Canada Lee, Mady Christians, and J. Edward Bromberg, had all recently died after being listed by the committee. The morning of May 20, 1952, Garfield, against his doctor’s strict orders, played several strenuous sets of tennis with a friend, mentioning the fact that he had not been to bed the night before. He met actress Iris Whitney for dinner and afterward became suddenly ill, complaining that he felt chilled. She took him to her apartment where he refused to let her call a doctor and instead went to bed. The next morning she found him dead. Long-term heart problems, allegedly aggravated by the stress of his blacklisting, had led to his death at the age of 39. The funeral was the largest in New York since Rudolph Valentino, with over ten thousand persons crowding the streets outside. His estate, valued at “more than $100,000,” was left entirely to his wife. 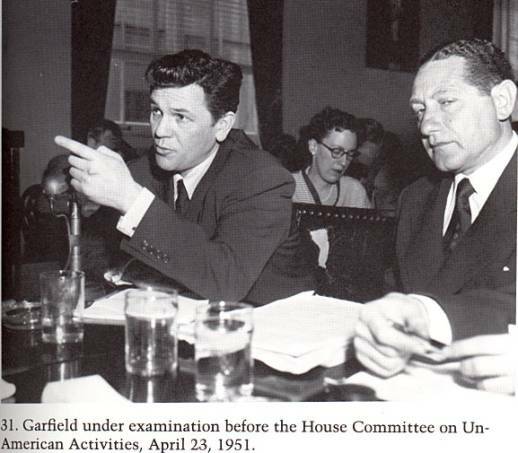 Shortly afterward, ironically, the HUAC closed its investigation of John Garfield, leaving him in the clear. Garfield is interred at Westchester Hills Cemetery in Hastings-on-Hudson, Westchester County, New York. In 1954, the widowed Roberta Garfield married attorney Sidney Cohn, who died in 1991. 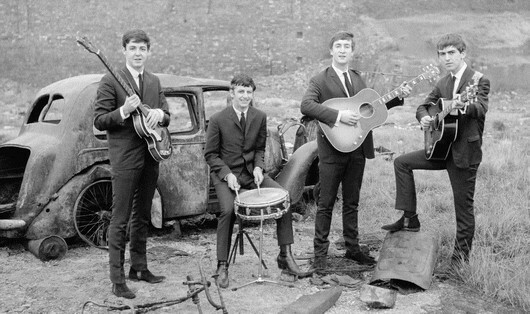 She died in January 2004. He and Roberta Seidman married in February 1935. Though his wife had been a member of the Communist Party, there was no evidence that Garfield himself was ever a Communist. They had three children: Katherine (1938–1945), who died of an allergic reaction on March 18, 1945; David (1943–1994); and Julie (born 1946), the latter two later becoming actors themselves. Garfield was nominated for the Academy Award for Best Supporting Actor for Four Daughters in 1939 , and Best Actor for Body and Soul in 1948. He was given a star on the Hollywood Walk of Fame at 7065 Hollywood Boulevard.